Computing, for the most part, is a solitary activity. We sit down and stare at a screen, blocking out the world around us. This can sometimes introduce friction into a relationship. The problem can be even worse when you’re using a smartphone Why I Ditched My Smartphone and Bought a Dumbphone Instead Why I Ditched My Smartphone and Bought a Dumbphone Instead Smartphones may not be all they're hyped up to be. Read More . But there are ways to use a computer that bring you and a significant other closer together. If nothing else, one can help you better manage your mutual responsibilities so that you can share more of your time. Yes, this is the case even if you use Linux. Far from being an operating system only good for working alone, there are many uses a couple can find for Linux. Staying in touch is one of the best ways to use a computer. With the right software, you can see your partner’s face even when they’re across the country for a business trip. Your first thought might be Skype, but there are a number of alternatives you can try 4 Linux VOIP Alternatives to Skype 4 Linux VOIP Alternatives to Skype When it comes to Linux VOIP apps, many people decide on Skype. But there are plenty of great alternatives! Here are four that we like. Read More , with open-source solutions such as Linphone and Ekiga. The former also has versions for Android and iPhone. Maybe sitting down for a video chat is off the table. Text messages are more accessible, since you can send them at any time knowing your loved one will see it eventually. And if you need to respond to a text while at your PC, your keyboard sure would be a lot nicer to use than your phone’s touchscreen or keypad. Fortunately, you can send texts from any email client The 5 Best Free Desktop Email Clients The 5 Best Free Desktop Email Clients You need a free desktop email client to handle your incoming mail? Here are the best desktop email clients you can use without cost. Read More or webmail, as long as you know the gateway address for your partner’s phone number How to Send Email to Any Cell Phone (for Free) How to Send Email to Any Cell Phone (for Free) Read More . This approach even works from the terminal. If you would like a dedicated app, or would prefer to have the conversation tied to your phone number, KDE Connect is a great way to both send and receive SMS from your computer. 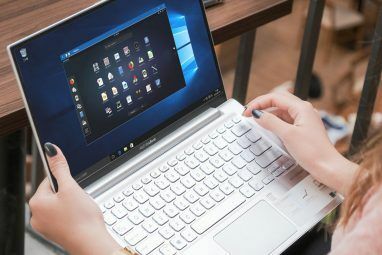 And you don’t need to run the Plasma desktop KDE Explained: A Look at Linux's Most Configurable Desktop Interface KDE Explained: A Look at Linux's Most Configurable Desktop Interface What does Linux look like? Sometimes, Unity; other times, GNOME. Oftentimes, though, Linux runs KDE. If you're not using the erstwhile K Desktop Environment on your Linux PC, now is the time to change! Read More to use it. Eating together is one of the first rituals couples adopt. Even if you mostly eat out on dates early on, you’re likely to start cooking for one another at some point. You may even start cooking together. There are a handful of Linux apps dedicated to the task. GNOME Recipes and Gourmet both store and categorize your recipes. The former integrates with the GNOME desktop environment, while the latter has a more traditional layout great for most others. GNOME Recipes also adds a social component, allowing you to see recipes other users have created and share some dishes of your own. Cooking in the kitchen is a big part of how my wife and I spend time together. She regular browses the web for new dishes and sends them to me over email. I’ve started adding our favorites into GNOME Recipes so that they’re easy for us to recall and recreate. Being in a relationship means having things to do. Whether it’s remembering to pick something up, drop something off, give someone a ride, mail a package, or showing up for a event, you might need help keeping up with it all. Calendars track important events, such as anniversaries, birthdays, and date nights. Several of Linux’s larger desktop environments come with their own calendars. GNOME and elementary OS Want to Install Elementary OS? 7 Reasons Why You Should! Want to Install Elementary OS? 7 Reasons Why You Should! Elementary OS has developed into a compelling computing experience in 2017. Wondering if it's time to make the switch from your current Linux operating system? Here's why the answer is Yes. Read More both have simple calendar apps that work well for me. KDE’s KOrganizer is a more complex tool with more features, and it comes with a built in to-do list that can place tasks alongside your day’s events. These calendars can also sync with online accounts, including Google Calendar, so that the two of you stay in sync. As for your tasks, Linux has a myriad of to-do list apps and extensions designed for various desktop environments. On GNOME, I’m fond of To Do. If you want an app that’s as simple as a sticky note, check out Agenda for elementary OS. Getting Things GNOME! is a great tool if you want something a bit more advanced. 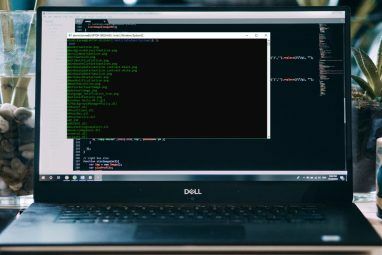 Taskwarrior is one that runs entirely in the terminal. And that’s really just scratching the surface 11 Linux To-Do Apps, Timers, and Extensions to Help You Stay on Task 11 Linux To-Do Apps, Timers, and Extensions to Help You Stay on Task You use Linux, you have tasks to get done, and you have limited time to do them. Check out these Linux to-do apps and extensions to help you stay focused. Read More . Once you start living together, you’re going to have to talk about money. If you have a joint account, you especially need to communicate about what you’re both spending money on. An accounting app can help you stay on top of what’s in your account. Linux has a few apps that are great for managing finances. While they won’t integrate directly with your bank’s online account, they can take the information you enter manually and use it to produce useful charts and graphs. Then the next time you start arguing about where too much of the money has gone (hey, love isn’t always romantic), the data can clear things up. GnuCash and KMyMoney are well established names. HomeBank and Skrooge are two more great options. They each do largely the same thing, so which one you should go with is largely a matter of which interface you like best 3 Ways to Manage Your Finances Using Linux 3 Ways to Manage Your Finances Using Linux Quicken won't work on Linux, but you have several options open to you for spreadsheet and accounting app alternatives. Here's how you can use Linux to stay on top of your finances. Read More . Alternatively, you can put everything into a spreadsheet. That’s what I like to do. The open-source games available in your Linux app store 10 Great Games Hiding in Your Linux App Store 10 Great Games Hiding in Your Linux App Store Linux gamers have some real gems available - if you know where to look! These 10 games aren't new, but if you're a Linux newcomer, they'll offer some great, free gaming experiences. Read More make for an affordable way to have a good time. You may enjoy a racing around the track in SuperTuxKart, blowing up one another in Hedgewars, popping bubbles faster in Frozen Bubble, or fragging one another in any number of free first-person shooters. And that’s before you dig into the wealth of games available on Steam 10+ Windows Games You Could Be Playing on Linux with Steam 10+ Windows Games You Could Be Playing on Linux with Steam If you've been holding onto Windows simply to play your favorite games, let go. Installing SteamOS is now a viable option and the following collection of titles illustrate just what the situation is in 2016. Read More , GOG.com, and Humble Bundle. Alternatively, you can install media codecs Why Your Music & Video Files Don't Play on Linux, and How to Fix It Why Your Music & Video Files Don't Play on Linux, and How to Fix It You've switched to Linux, but your video or audio files file won't play! Simply, your Linux version didn't come with the necessary codecs, so let's find out how to install them. Read More and cuddle up to your favorite movie. With Google Chrome installed, Netflix works as easily as you would expect. You can stream music online or install any number of local music players 4 Linux Music Players That Deserve Your Attention Now 4 Linux Music Players That Deserve Your Attention Now Which Linux music player is the best? We compare four excellent music players you may not know about. Read More . It’s not all about work, after all. Linux is plenty good at play. Do You Share a Love for Linux? In the Windows world, you can take for granted that the two of you use the same operating system. Occasionally you may be with someone who prefers a Macbook or Chromebook. On Linux, it’s common to be with someone who isn’t using the same thing. Fortunately you don’t have to be. Many of these programs are cross-platform. But if you both are running Linux, it’s great to be able to share that passion for free and open-source software 5 Reasons Why Software Should Be Free and Open Source 5 Reasons Why Software Should Be Free and Open Source Free software doesn't just mean you get to use the app or game without paying. It's about longevity, privacy, ownership, and much more! Read More . How do you use your computer in the context of your relationship? Do you and your significant other both use Linux? Explore more about: Linux, Valentine's Day. 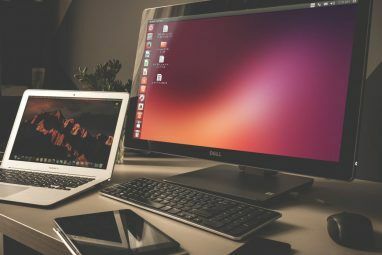 5 Reasons to Upgrade to Ubuntu 19.04 “Disco Dingo”What’s the Best Firefox Alternative Browser for Linux? Thanks! You just saved my relationship! Ubuntu almost worked, but once I installed Linux Mint my girlfriend was back in love with me. She even dropped the molestation accusations! Glad to hear it! Better not switch to another distro. Yes, this is because of Mint. But if you'd installed Gentoo all the girls in your district would have attacked you with love. What’s the Difference Between GTK+ and Qt?